Pakistan’s residents who once criticized the slow and corrupt state courts now fear the “Talibanization” of Islamic sharia law that is making inroads. ISLAMABAD, Pakistan, May 9 — When black-turbaned Taliban fighters demanded in January that Islamic sharia law be imposed in Pakistan’s Swat Valley, few alarm bells went off in this Muslim nation of about 170 million. Sharia, after all, is the legal framework that guides the lives of all Muslims. Officials said people in Swat were fed up with the slow and corrupt state courts, scholars said the sharia system would bring swift justice, and commentators said critics in the West had no right to interfere. Today, with hundreds of thousands of people fleeing Swat and Pakistani troops launching an offensive to drive out the Taliban forces, the pendulum of public opinion has swung dramatically. The threat of “Talibanization” is being denounced in Parliament and on opinion pages, and the original defenders of an agreement that authorized sharia in Swat are in sheepish retreat. The refugees are the “victims of ignorant cavemen masquerading as fighters of Islam,” columnist Shafqat Mahmood charged in the News International newspaper Friday. He said that the “barbarian horde” that invaded Swat never intended to implement a sharia-based judicial system and that they just used it as cover. “This is a fight for power, not Islam,” he wrote. President Barack Obama has scheduled a major “outreach” speech to Muslims in Egypt on June 5 and already some Muslims are planning their counter- offensive. In Iran, President Ahmadinejad often attacks Egypt and President Hosni Mubarack for his recognition of Israel. Iran refuses to admit that Israel does or should exists. Ahmadinejad calls the Israeli people “Zionists” and their land is Palestine. Going to Egypt to speak in behalf of Muslims is a tricky proposition for Obama. Many Muslims regard the Egyptian government as totally without human rights…. Egypt’s Muslim Brotherhood dismissed on Saturday U.S. President Barack Obama’s plan to deliver a speech to the Muslim world from Egypt as part of a plan to keep Arab and Muslim states divided. Deputy leader Mohamed Habib said overtures by the United States to countries like Syria and Iran, and recent visits by U.S. officials to Egypt and Saudi Arabia, indicated the speech would be used to further the superpower’s pro-Israeli agenda. “The U.S. administration is trying to use each of these countries individually to serve the American agenda and American interests, in addition to securing, promoting, protecting and guaranteeing the superiority of the Zionist entity (Israel),” Habib told Reuters. The Brotherhood is Egypt’s largest and most powerful opposition group, and seeks an Islamic state through democratic means. It disavowed violence decades ago and is officially banned, but operates relatively openly. Obama will deliver a speech to the Muslim world in Egypt on June 4 in which he will seek to repair ties that were severely damaged under his predecessor George W. Bush. “The statements are rosy, but politics is not built on statements as much as it’s based on practices on the ground. Let’s wait and see,” Habib said. The Brotherhood controls roughly a fifth of seats in Egypt’s lower house of parliament. 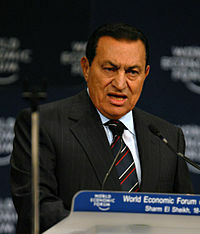 The group played a seminal role in the development of Islamist ideology and political groups around the Muslim world. Here’s the irony of the week: Barack Obama is planning a trip to Egypt to give a major “outreach” speech to Muslims just weeks after Pope Benedict XVI is doing exactly the same thing during his current visit to Jordan, Israel and the Palestinian territories. But next week end, President Obama will give an almost as watched speech at the University of Notre Dame where he will be bestowed with an honorary degree and participate in commencement. In Islam, most people won’t care about Obama’s stands on human life. In South Bend next weekend, his every word will be analyzed seeking middle ground on abortion and stem cell research. AMMAN, Jordan — For more than 20 years, Cardinal Joseph Ratzinger, then the Vatican’s top doctrinal czar, was the intellectual architect of the papacy of John Paul II. Thus, when Ratzinger was elected to succeed John Paul as Pope Benedict XVI in April 2005, it was widely seen as a vote for continuity with the late pontiff’s policies. Four years later, there’s only one strong substantive difference between the two popes, and it’s on display this week as Benedict XVI visits Jordan, Israel and the Palestinian territories: their approaches to Islam. With 1.1 billion Roman Catholics and 1.6 billion Muslims in the world, representing about 40 percent of the world’s population, it’s a difference that matters. One of the Vatican’s highest ranked clerics and a frequent critic of President Obama said Friday that Notre Dame is causing a “scandal” by giving the president an honorary degree and a platform to address graduates at its commencement next weekend. He pointed to several Obama administration decisions that he said have damaged “the fundamental society that is the family,” citing the repeal of the conscience clause, which prohibits health care workers from refusing to participate in abortion-related services; repeal of the Mexico City policy, which allows federal funding to be used abroad to provide abortions; presidential support of the Freedom of Choice Act, which prevents government from in any way denying or interfering with a woman’s right to choose; and support of the U.S. Population Fund, which he noted supports China’s one-child policy. Obama has considerable support from Catholics, having won 54 percent of the Catholic vote in the presidential election. In a Quinnipiac national poll released at the end of last month, 57 percent of Catholics said they approve of the way Obama is doing his job, while 33 percent disapproved. Burke noted the Catholic support, saying a majority of Catholics freely chose leadership that is now implementing decisions that conflict with the tenets of their faith. The archbishop also slammed Health and Human Services Secretary Kathleen Sebelius, who was confirmed by the Senate last week on a 65-31 vote. Opponents cited her ties to an late-term abortion provider, George Tillman, who is a supporter of the former Kansas governor.